MOVE IN READY!! 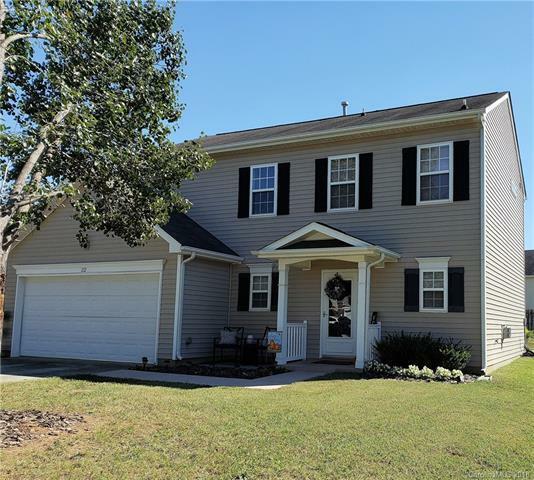 Stainless Steel Appliances, Tile, Carpet, Vinyl, Satin Fixtures, Granite Counter Tops in Kitchen and Baths, Water Heater, 2- Car Garage, and Landscaping. The first floor is fully tiled, features an eat-in-kitchen, and a gas log fire place located in the great room. Upgraded back patio that has been extended on both sides and has a pergola. The upstairs has a large loft area, 3 bedrooms, and two full baths. Community amenities include pool, pond, walking trails and a new playground.